Two of Washington’s most iconic museums take up residence in the historical Old Patent Office Building, where history and art collide. 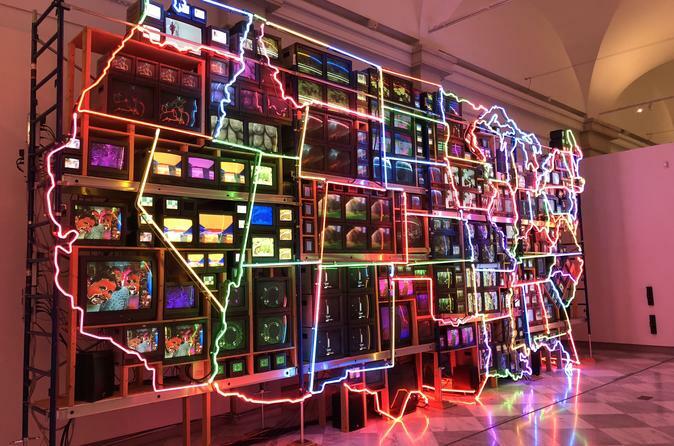 Visit the National Portrait Gallery and the American Art Museum on a 2.5 hour semi-private tour, with up to 8 guests, who will discover the best of American-made works all under one roof. Once a Civil War Era hospital, this building has featured art exhibits as early as 1829. Poet Walt Whitman tended to wounded soldiers here, commemorated by a portrait hanging here today in the National Portrait Gallery. Other portraits recall the great women and men who shaped the United States. Presidential portraits, as well as those of the first ladies, trace a long lineage of famous leaders. Civil War figures, like Grant and Sherman, recall a more turbulent time in the nation’s history. An eclectic mix of paintings and photographs, as well as 19th century daguerreotypes, recall the Robber Barons, the Suffragettes, and various other individuals throughout the US’s short but remarkable past. Within the American Art Museum, appreciate scenes by American artists like Mary Cassatt, who took part in the Impressionist movement. Fast-forward to Georgia O'Keeffe and her provocative flowers. Learn about the photographs commissioned by the government during the Great Depression as well as the curious portrait of former president Obama. Discover famous artists like Edward Hopper and David Hockney before moving on to more experimental and contemporary art that will need a bit of explaining to understand how this all fits into America’s very unique story.